Wine, Cheese and Scrapbooking: After Xmas Friends with Flair Party! Dear friends. Happy Friday, and I hope your Christmas day yesterday was a good one. I had a good time... very relaxing with my husband and mom in Holy Night, and then with my Mother in Law and my husband's family yesterday. 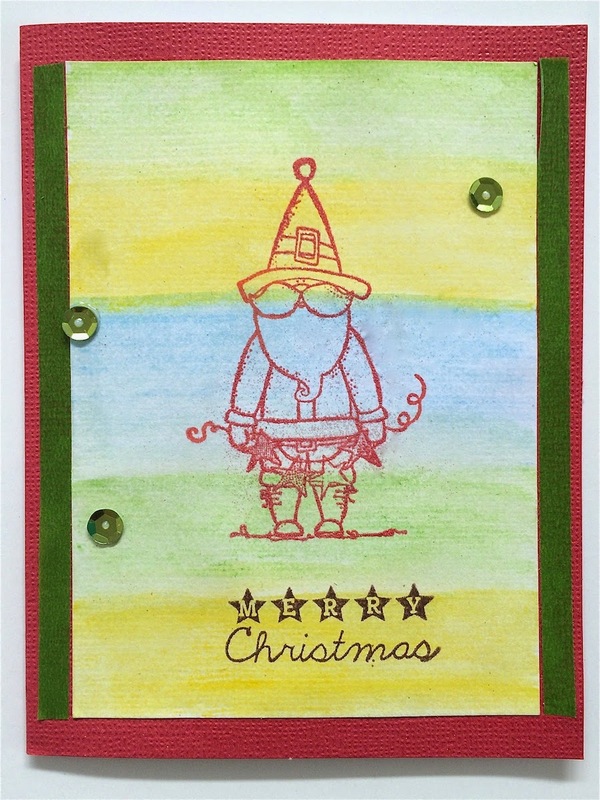 I'm sharing this CAS card... it's very similar to one I already showed you before (CLICK HERE), but I loved the fun way to create a background with watercolor pencils, and stamp an image on it. I am linking this to Friday Friends with Flair at Unity Stamp Co so make sure to leave a comment for a chance to win some goodies... Every Friday we share projects made with Unity stamps. One entry and one commenter win. I'm also linking two other cards I made and posted this week, so go there and while you leave comments under those posts of mine too, please find all entries for all Unity Friends and give them some love. Have a great weekend and continue celebrating the season! Love the back ground with different shades of color. Such a sweet image. The the whole and the background especially. This is so cute! Love that background too!